The Escape Route collection. 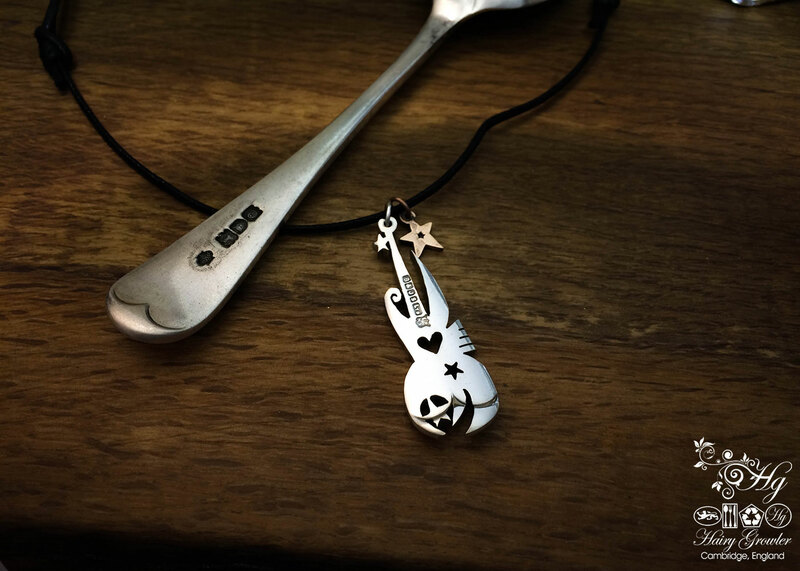 Recycled spoon handle superstar love guitar necklace totally handcrafted and recycled from old antique spoons. 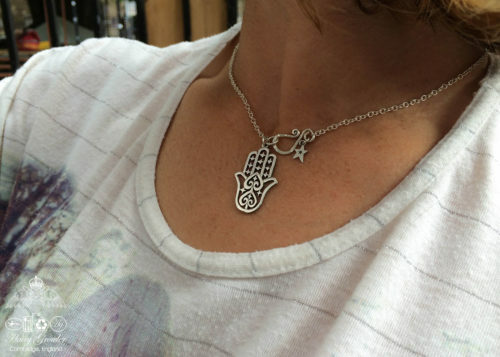 Designed and created by Hairy Growler Jewellery, Cambridge, UK. 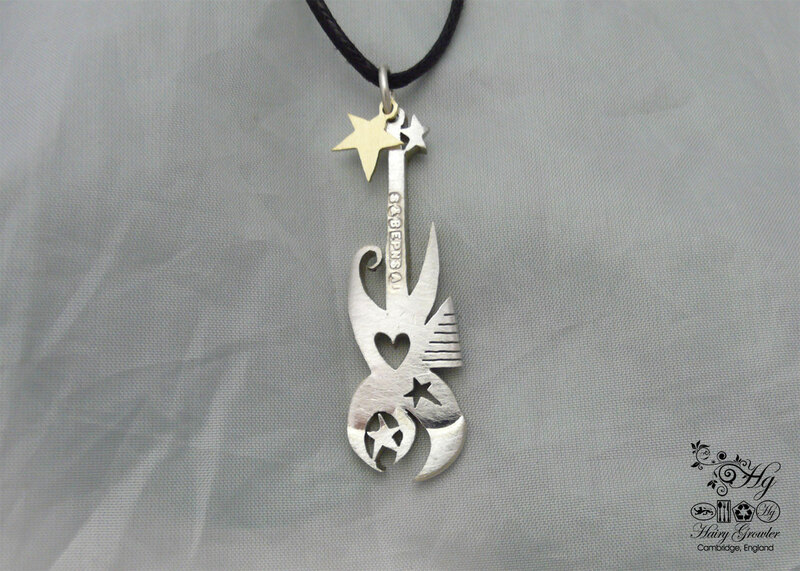 This excellent abstract guitar pendant is totally original, recycled and handcrafted in Cambridge. 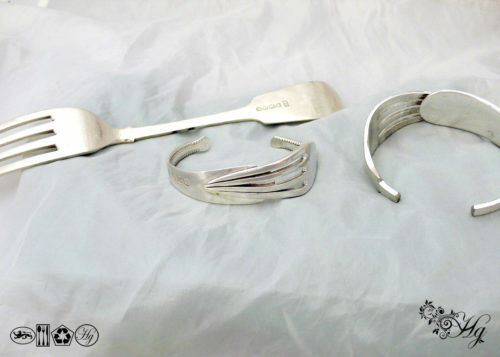 An old dessert spoon handle has been used for the main element of the design. The shape of certain spoon handles particularly lend themselves to miniture guitar based shapes. 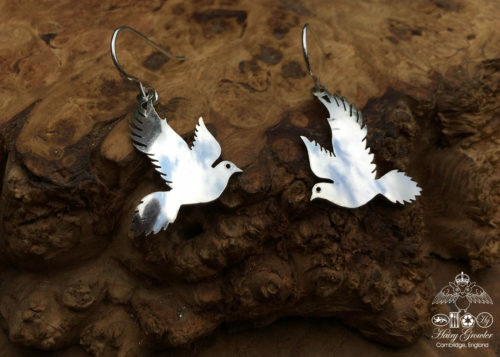 The design has been pierced away with a fairly course jewellers saw and then smoothed out with files and polish. 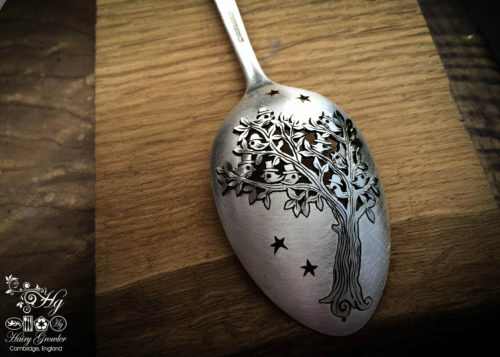 The original hallmarks of the spoon are beautifully evident down the central part of the design. The piece is completed with a little star cut from an old french coin and a matte scrub finish. 1 review for Superstar love guitar. 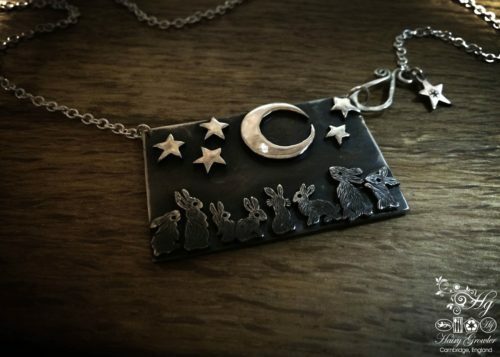 I love stars, I love music, my dad is a musician…this piece is a modern beauty!